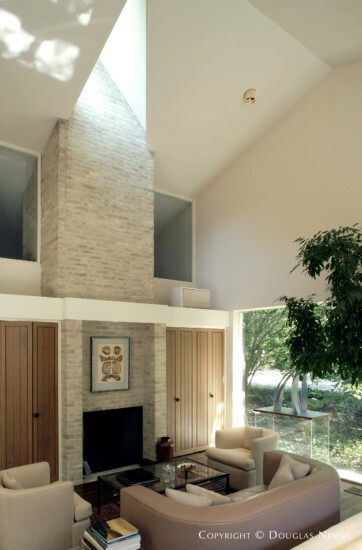 Architect Enslie (Bud) Oglesby designed this 4,400 square foot contemporary home in 1970. Award-winning architect Ron Wommack, who came out of the Oglesby shop, calls it "Bud's purest work." This home reflects the aesthetic that continues to influence the current generation of award winning architects. Soon after it was completed, its quality was very quickly recognized by the American Institute of Architects Dallas Chapter who gave the home an award in 1971 and in 1972 the Texas Society of Architects honored the home with an award.